Click Sage to see tips on soldering! 60/40 (60% tin - 40% lead.) For use on copper foil and lead came seams. Offers superior flow over 50/50. Melting temperature: 361° - 376°F. Most solders melt at a higher temperature than they freeze at, the difference between these figures is called the "pasty range" The pasty range of 60/40 solder is smaller than that of 50/50, giving the user a smoother bead. 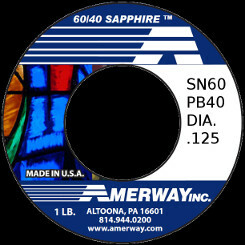 Note: 50/50 Solder cannot be sent to Pennsylvania due to that state's EPA regulations. 63/37 (63% tin - 37% lead.) 63/37 is "eutectic"; it melts and freezes at the same temperature (361.4°F). The instant freeze properties can reduce the chance of lumpy solder beads. Great for decorative soldering. 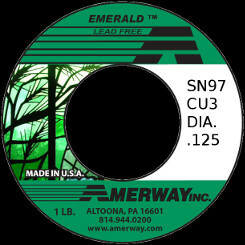 Amerway Emerald Lead Free Solder is composed of 97% tin and 3% copper. Like many lead free alloys, 97/3 has a higher melting point (445°F) and will require use of a hotter iron (or a hotter setting on your iron control than you would with 60/40 solder). It flows similar to 50/50solder and does a good job of spanning gaps in your work. Recommended for jewelry or any project that gets handled a lot. 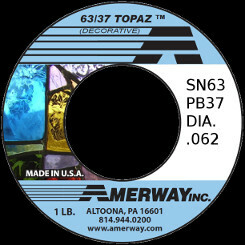 Amerway Tourmaline Lead Free Solder is composed of 99.3% tin and .7% copper. 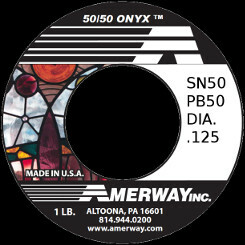 It is a formulation specifically created for the Stained Glass Industry. It has a high sheen alloy to deliver a shinier, noticeably brighter finish. The perfect solder for jewelry, kaleidoscopes, business card holders, or anything involving direct skin contact. 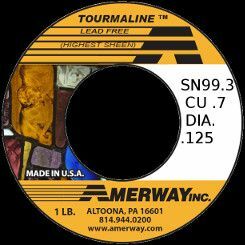 Anyone concerned about lead content will find Amerway's Tourmaline to meet their environmental and aesthetic needs! Amerway Ruby Lead Free Solder is composed of 97% tin and 3% copper/silver. This greatly improves the flow characteristics, lowers the melting point and provides greater tensile strength. You will find this alloy to be the easiest flowing lead free solder available. The extra cost for this alloy is justified by the improved workability and increased efficiency. WARNING- This product contains Lead and may contain other toxic metals or chemicals! Ingestion may cause lead poisoning. Do Not Breathe Dust or Fumes. Use Noish approved protection when necessary. Use only with adequate ventilation. Wash hands before eating, drinking, and smoking. 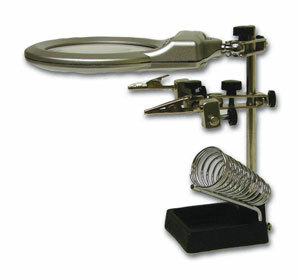 A double set of tight grip clips with an attached magnifying glass. The hands will bend and turn into any position to help with holding wire and other small pieces while you work. 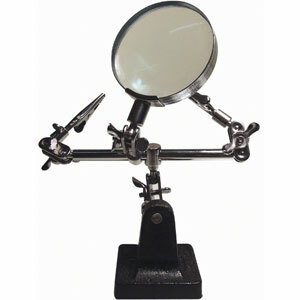 Keep your hands free with the "helping hands" magnifier. Two alligator clips on 4-way swivels allow you to position your project any way you wish and magnify it with the 2x glass lens. 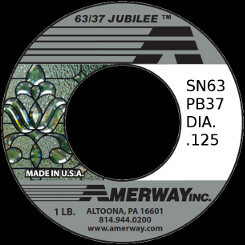 Great for soldering, jewelry, beadmaking and hundreds of other potential uses!